Charles D. (Chuck) Vincent passed away, after a lingering illness, Tuesday, September 18, 2018, in Joplin, Missouri, attaining the age of 78. Chuck was born September 24, 1939, in Springfield, Vermont, to Donald and Ruth (Vincent) Glova. Upon the death of his mother, he was raised by his grandparents, Charles and Margie Vincent. After his graduation from Sarcoxie High School, he worked many years for the Missouri State Highway Department, attaining the position of Special Maintenance Supervisor. During his lifetime, he also worked at farming, construction, his own tree trimming business, and always would lend a willing hand to those in need. June 1, 1963, he married Barbara Michel, who survives, along with their son, Matthew, and his wife, Raydene, grandaughters, Cecily (Justin) Phillipi, and Meleah Whitehead, great-grandchildren, Hunter and Alaynah Phillipi. Funeral service will be Thursday, September 20, 2018 at 11:00 a.m. at Immanuel Lutheran Church with Pastor Gregory Mech officiating. 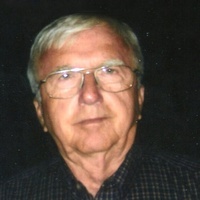 The family will receive friends on Thursday, from 10:00 a.m. until service time at Immanuel Lutheran Church, 2926 Connecticut, Joplin, where he was a long-time member. Interment will follow at Ozark Memorial Park Cemetery with family serving as pallbearers. The family want to thank the many visitors during Chuck’s last days. He will be greatly missed by all who loved him.